Outdoor Recreationists love the outdoors, especially when it’s about fun. 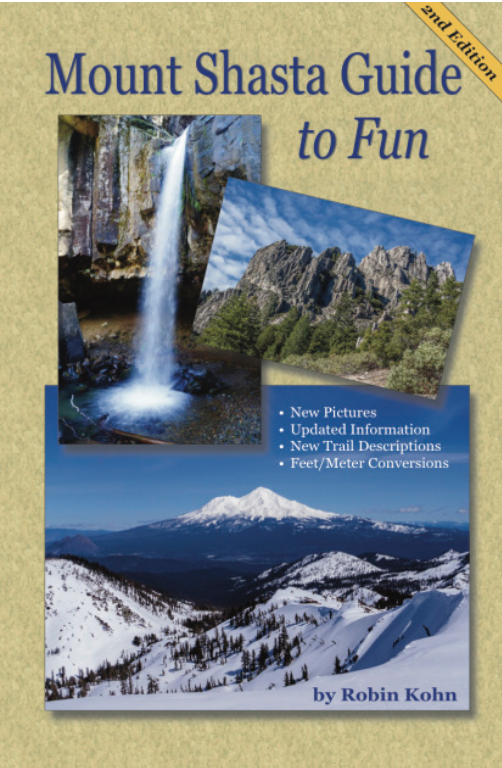 This book is the most detailed fun guide to outdoor recreation activities in all seasons for the Siskiyou County Area. With this guide in hand, one can choose their activities based on interest, time frame, their individual skill level and feel confident that they are being well guided. This 150-page book includes 19 maps, offers over 100 photographs and illustrations and is specially designed with the plastic coil binding to make it easy to layout and turn each page. It is light weight and can easily slip into a backpack or daypack. Ordering my book on Amazon, you will not get the most recent printings with new updates and revisions. They carry my first printing only.